Finding your perfect car at Schumacher Automotive Group is a breeze. Deciding whether to buy or lease can be more difficult. Luckily, the professionals at our Finance Center are prepared to walk you through the differences. Continue reading to discover whether car buying or leasing is the right choice for you. Leasing is ideal if you’re on a budget. Buying a car can require a costlier down payment, and the monthly payments of leasing are typically lower. For the more affordable option, consider lease deals in South Florida. Your mileage is restricted under most lease contracts, so you may be charged for every mile that you surpass of your set limit. When you buy a car, you don’t have to worry about mileage restrictions. If you’re a nationwide traveler, buying a vehicle may be the best option for you. Are you interested in driving a new car every two to three years? You can easily trade in your lease for a newer car once your contract is up, rather than being stuck with an older model you purchased. 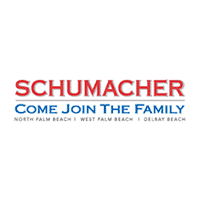 For more information about buying or leasing a new car from Schumacher Automotive Group, contact us at one of our South Florida locations.